The blogosphere was miles away from what it is now. In fact, it feels like it was an entire different ball game. I remember when I first started my blog, what excited me the most about it all was the community. I loved having a hobby in common with so many other people my age and watching other people’s creativity flourish on their own blogs while I channeled mine into my own corner of the internet. Back then, hitting 1,000 followers seemed like a huge goal, and when I did I was over the moon! To be honest, when I started there was no plan to grow an audience, or build a brand, so it kind of took me by surprise when I noticed other people doing it. Before I knew it, people I had become pals with had tens (if not hundreds) of thousands of attentive followers! I’m always impressed by anyone who has managed to build an engaged audience who are as passionate about their interests as they are. When I first began writing blog posts, I was a kid in a candy shop, I wanted to try everything. My blog quickly became a massive melting pot of lots of different types of content. There were recipes, outfit posts, beauty reviews, evert reviews…there was a lot going on. Looking back, I think this made it hard for me to grow a regular readership because people really didn’t know what to expect from my blog! Blogging advice: Stick to three main categories, and make sure they all have some similarities! My three are: Style, Thoughts and Beauty. This makes it easier for your readers to know what you’re about and therefore they’re more likely to return if they enjoy what they read! The blogosphere is an exciting place when you first enter it (and it still is to me now!) so the temptation is to join every platform going and generate content for each and every one. I’ve definitely felt the pressure to do YouTube before in the past, but I honestly think it’s better to stick to the platforms that you’re most passionate about. If video is your thing, then YouTube and Instagram will probably be your go-tos. For me, this means sticking to Twitter, Instagram, Pinterest and my blog. They’re the platforms that I really enjoy updating, and doing so doesn’t feel like a chore. Blogging advice: I think a manageable number of platforms is 3-4 (although everyone is different, so feel free to pick a number that suits you). Think about what types of content you enjoy creating – if photography is your thing then Instagram and your blog will probably appeal most. If you love to write, and chat to others, then you may prefer to stick to your blog and Twitter. You don’t have to be on every platform, so if it’s not for you, drop it. I had no clue what a USP was when I started blogging, and if you still don’t know it stands for Unique Selling Point aka. what makes your blog personal and unique to you. You USP isn’t the same as having a niche, although there is often some overlap. For example, if you’re a beauty blogger, your USP could be that you always wear winged liner, or you always use stop motion to demo products. 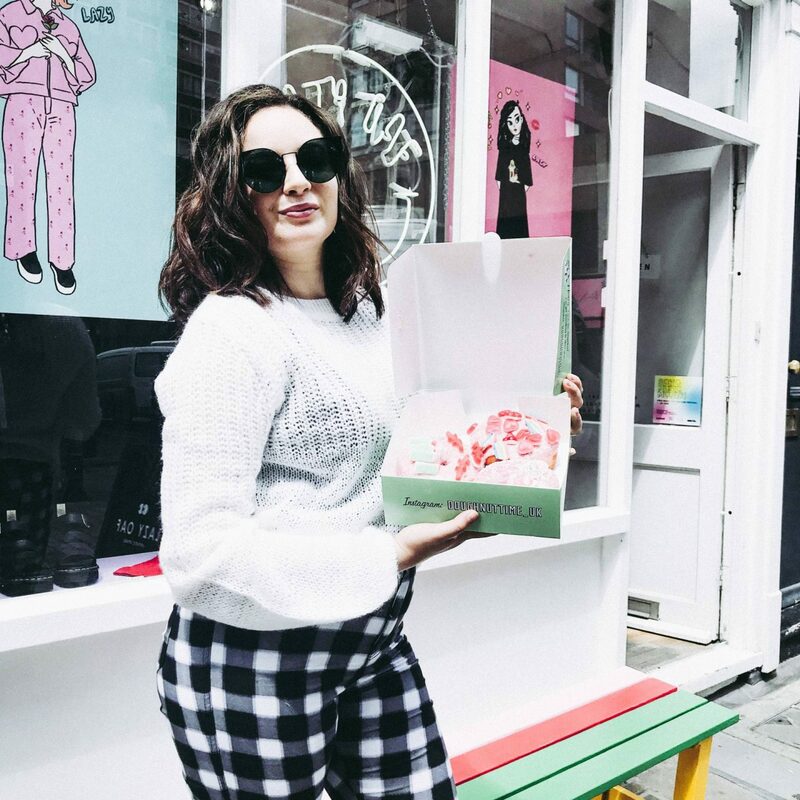 My USP is affordable splurging – you’ll notice that I often treat myself to new clothes or beauty products, but I tend to go for the affordable option and I’m really good at finding bargains! Blogging advice: If you have no clue what your USP is, get a piece of paper and jot down some words you would use to describe the content you share on your blog. Also, think about how you would describe your blog to a stranger in one sentence. It should be easy for someone to understand your USP after looking at your blog/social media so make sure it’s obvious in the content you share! I cannot emphasise how important this is enough!! My content is RUBBISH when I don’t plan, and I find my blogging inspiration seriously lacking. When I sit down every fortnight and plan out some content I feel so much clearer about what needs to be done and when. This means I tend to enjoy the content I’m creating more as I have the time to enjoy doing it, instead of rushing it to get it up in time. Blogging advice: Get a planner/diary. Honestly, having something physical you can refer back to is a life-saver! I would suggest sitting down once a fortnight and planning your content. Write down post ideas, when you’ll take the photos, when you’ll write the post and when it will go live. Having a plan can really elevate your content and ensure you stick to your niche/s and USP. "A supplement for stronger, longer hair"
"Extending my salon colour with Infuse My. Colour"